Seventh Circuit Judge Richard Posner is triggering a minor dust up over comments made at a bookstore appearance highlighting a new Posner biography written by William Domnarski. Posner blasted the current members of the Court as unqualified and the Court itself as “awful” in terms of the low quality of its work. Last week, I spoke to the Federal Bar Association in Chicago about the Supreme Court, including critical remarks on how justices are selected and confirmed. Most justices over the history of the Court have been largely mediocre while others have been disasters. Circuit Judge Richard Posner was speaking after me and was in the audience but did not make any comments. It turns out that he had a lot to say on the subject. Posner is certainly correct that most nominees are not selected on the basis for being intellectual leaders. Indeed, Posner himself (as well as others like Judge Guido Calabresi) are examples of brilliant legal minds who were never nominated despite having transformative impacts on the law. 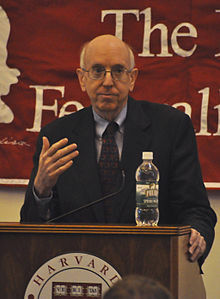 Posner is without question one of the most influential living legal figures. His work on economics and law proved transformative for the field. His books in various fields are considered classics. While briefly considered during the Reagan Administration, he was considered too provocative and difficult to be a nominee. Instead, presidents prefer reliable ideological allies for the Court — preferably with a safe and understated record to avoid confirmation attacks. I would not call this Court “awful” or largely unqualified. However, Poser is doing the country and the Court itself a service in raising troubling history of the Court and the need for scrutiny of how we select nominees. One can respect the Court — as most of us do — but also recognize its flaws. Under our current approach, our ability to secure an Oliver Wendell Holmes or Louis Brandeis is at best accidental. Of course, as a lower court judge, it would behoove Posner to overcome his view that it is a “waste my time reading their opinions.” Judge Posner may view the cases as pedantic but they are also precedent. Otherwise some of those “unqualified” “awful” folks might be tempted to send back a message of their own in the form of a reversal or two. Posner knows exactly what to say to sell his books to gullible needy idiots clinging desperately to the delusion of intellectual superiority. Like selling candy to a diabetic. I’ll be away from my desk (and computer) for most of the day today, but will respond to your post of last evening as soon as I can. It’s a commonplace nowadays to hear or read an animated objection expressed, to some action the US government has taken, as “Not in my name!” That is, these people (perpetrating some objectionable deed) don’t represent me, even though they may purport to do so. As we nonetheless dutifully continue to elect people at local, state and federal levels to ostensibly “represent” us, of what does that representation really consist? If we’re to have truly meaningful input regarding what governmental actions are taken which impact ourselves and others, it seems fundamentally important to look seriously at the relations that actually obtain in our society between the representatives and the represented, the governors and the governed, the rulers and the ruled. “What Is It to Represent? “Are there any constraints on representation? One could envisage a man standing up at a shareholders’ meeting and saying ‘I represent the small investor and I believe that the entire board of directors should be removed’ or, in a University, saying, ‘I represent the administrative staff of the university and we want parity of treatment with the academic staff.’ One may question whether or not such alleged representatives are in fact representative, but their claim to be representatives of their constituencies seems in principle comprehensible even if it turns out to be false. However, what would one make of a man standing up to say ‘I represent myself and I believe the entire board of directors should be removed’ or ‘I represent myself and I demand parity of treatment with the academic staff of the university.’ It would, I suggest, seem a trifle odd. “Of course, one can imagine that in circumstances where it is customary or conventional for one to be represented by another (for example, as a defendant in a legal trial), one might answer the question ‘Who represents you?’ by saying ‘I am representing myself, my Lord’ — clearly, however, this is to be understood as equivalent to the perfectly sensible denial that anyone else is representing me rather than the dubiously meaningful claim that I am, in fact, representing myself. It would seem, then, that a minimal constraint on representation is that there should be a real distinction between the one doing the representation and the one being represented. •	I am unable to go to a meeting of the committee of my local residents’ association. It is an important meeting where decisions of some importance are going to be made so I ask my wife to go along in attendance, subject to the consent of the meeting. I inform her of my views of the important matter under discussion and when it comes up she puts these views forward as being mine. In these circumstances, she represents me. •	An issue is coming up for decision in the higher echelons of the university. A discussion takes place at a meeting of the department of philosophy and a general consensus emerges. The chair of the department is mandated to make the department’s collective view known to the powers that be. In these circumstances, the department chair represents the department. •	I want to buy something at an auction but I do not want to appear there myself for fear of raising the price. I hire a destitute and needy graduate student to purchase a painting for me. I give him explicit instructions on the price. He does exactly what I have commissioned him to do. He represents me for this specific transaction. •	I grant power of attorney to my lawyers with general but not completely elastic instructions. As long as they remain within the remit of those instructions, they represent me. •	Johnson is my local member of parliament. I did not vote for him. I do not agree with any of his views. Does he represent me? •	Robinson is my local member of parliament. I did vote for him, not because I actively desired his election, but because I wanted to prevent the election of an even more disagreeable candidate. As it happens, I agree with some but not all of his views. Does he represent me at all times, or only when his actions conform to my views? “In What Way Are Political Representatives Supposed to Be Representative? “In what way are our political representatives representative? What does it mean for one man to represent another? Under normal circumstances, as our examples show, those who represent us do so at our bidding and cease to do so at our bidding. They act on our instructions within the boundaries of a certain remit and we are responsible for what they do as our agents. Furthermore, the central characteristic of representation by agency is that the agent is responsible to his principal and is bound to act in the principal’s interest. “Is this the situation with my so-called political representatives? Political representatives are not (usually) legally answerable to those whom they allegedly represent. In fact, in modern democratic states, the majority of a representative’s putative principals are in fact unknown to him. Can a political representative be the agent of a multitude? This also seems unlikely. What if the principals have interests that diverge from each other? A political representative must then of necessity cease to represent one or more of his principals. The best that can be done in these circumstances is for the politician to serve the many and betray the few. 1) What their constituents actually want (by poll)? 2) What they think their constituents want (by gut feeling)? 3) What they think is best for their constituents even if it would be bad for the country? 4) What they think is best for the country even if it would be bad for their constituents? I don’t know what the answer is, but it seems to me the question is valid and needs to be answered. It never occurred to me to be anything but protecting my rights under the Constitution by adhering to the Constitution in all things. Lately though their penchant for doing anything and everything except that one requirement has gotten way out of hand to the point of ‘in your face’ citizen voter I will vote by the whim of the moment even when voting on something that does not exist. What’s needed is as recall defined as any politician we vote ‘into’ office as delegates are ‘our’ employees and subject to recall. That would be delegates to the Federal nor Nation State as well as to the government of the several states and myriad districts, counties, cities, towns, etc. and allows the State Governments all fifty to do the same to the two true federal offices. Meaning not only restore the checks and balances taken from the State Governments but broaden the scope down to citizen level where US Congressional delegates are concerned. Nothing like the threat of multiple recalls to keep one on the straight and narrow. It’s not like they can be trusted. Michael Aarethun – Arizona has a limit on when you can start to recall someone (90 days, I think) and how often they can be recalled. What if your rights differ from those of others? For example, riparian rights of the landowner over whose land a river flows versus those downstream? given the approximate 5,000 words total in the two documents my first thought was they often left out long, involved descriptions since everyone knew what the words meant. Even the Declaration is mostly a list of grievances yet it is in those we find the ‘dangers’ and it is in those we find a very neat description of the last hundred years when those same complaints became reality. Question? Why? Some say a still uneducated public. Some add a flood of new immigrants with a different mindset and expectations than the originals based on a far different background than those who came first.. In any case the first one is a Mission Statement – not law. The Second is Law per the accepted unanimously social contract. Neither one allows ignoring as an excuse for change nor golden throat orations. Personally. My oath was to the Constitution not to the orations of Wilson, FDR, and present company comprising the present government. That for those of us who wore the uniform explained the meaning of Janet Neapolitano’s comment. The military active, retired and former represent the greatest danger this government faces. A repetition of a side comment. Any individual ‘drafted’ or told to ‘sign up at 18’ who was not offered the following first got royally screwed and that includes the present uneducated numbskulls. They are also not subject to the military conscription and a number of other legal issues. Being forced to take and sign an oath is not voluntary. The greatest difficult we had in the volunteer military was dealing with draftees as a group. I don’t blame them I blame the government that forgot on purpose to assume age 18 meant accepting the social contract. I think we (the body of the people) need to define what is a ‘U.S. Citizen’. Are we ‘national citizens’, ‘State citizens’, or, as you ascribe above if you reject the acceptance of being a ‘U.S. Citizen’ at age 18, a ‘sovereign’. This statement may be true, but only if former military servicemembers actually find out the real reasons they’re now disabled and their innocence has been taken from them. Hillary Clinton will be good at hiding it. I think you’re quite right. I’d never (and still haven’t) done a systematic study of Jefferson’s writing, and although he could have changed his mind over time regarding some important issues, his thinking regarding the need for representative government (as opposed to some form of direct mass action) doessn’t seem to fall into that category. “There is another opinion entertained by some men of such judgment and information as to lessen my confidence in my own. That is, that the Legislature alone is the exclusive expounder of the sense of the Constitution in every part of it whatever. And they allege in its support that this branch has authority to impeach and punish a member of either of the others acting contrary to its declaration of the sense of the Constitution. It may, indeed, be answered that an act may still be valid although the party is punished for it, right or wrong. I’m still not sure where such a contingency as watering the tree of liberty fits into Jefferson’s overall political philosophy, but I’m willing to stipulate that he was thoroughly committed to representation. Although Jefferson’s political thought as embodied in what he wrote is still a treasure trove of wisdom and insight, in view of the tragic political pass to which we’ve come over the last two plus centuries, it’s clear to me that it’s well past time to re-examine the feasibilty and long-term viability of one of our foundational political concepts, that of representative government. I’d like to go into this in more detail in a later post. Thanks for your provocative post. I enjoyed reading (several but not all of) the quotes at the link you provided. Jefferson’s use of the term “ultimate arbiter” in one of the quotes seems erroneous: “The ultimate arbiter is the people of the Union, assembled by their deputies in convention, at the call of Congress or of two-thirds of the States. Let them decide to which they mean to give an authority claimed by two of their organs. And it has been the peculiar wisdom and felicity of our Constitution, to have provided this peaceable appeal, where that of other nations is at once to force.” –Thomas Jefferson to William Johnson.” He’s talking about the manner of amending the Constitution, not its interpretation, so his use of the term “ultimate arbiter” is not the same as John Marshall’s. “Each of the three departments has equally the right to decide for itself what is its duty under the Constitution without regard to what the others may have decided for themselves under a similar question.” –Thomas Jefferson to Spencer Roane . . .” Certainly this is true about “duty,” but again judicial review of constitutionality is about limitations imposed on that duty, not the duty itself. He seems to be arguing red herrings, unless I’m understainding this out of context. Professor Turley’s client, the House of Representatives, in its suit against the President for venturing beyond his Article II limitations would probably not sit well with Thomas Jefferson. Imagine no limitation – other than what the President alone decides his duty to be – on the power of the President to initiate a war. If the Constitution is a limitation on government action and if Jefferson meant there were no limitations on the duties afforded each of the three branches, our third president’s reasoning would leave each branch the prerogative of a fox guarding the hen house. There was also a quote at the link where he makes an interesting concession: “It may be said that contradictory decisions [between the branches] may arise in such case and produce inconvenience. This is possible and is a necessary failing in all human proceedings. Yet the prudence of the public functionaries and authority of public opinion will generally produce accommodation.” That may or may not have been true then, but it’s certainly untrue now. Absolutely zero transparency in government is in large part a result of the Legislative and Executive branches always being at odds, and more likely than not in our two party system reasonable minds are subordinate to partisan politics. His statement is wholly antiquated in a modern culture where greed is considered a virtue. The quote you cited is interesting because it indicates that if Congress’s interpretation of constitutionality is unreasonable, the “body of the nation” would rise up and take control. Is that a quote ripe for the National Rifle Association or what? Times have changed. Government has successfully limited our right to bear arms so that what Jefferson wrote is no longer applicable, especially when conflated with the idea of refreshing the tree of liberty. We cannot just rise up now other than peacefully, but he clearly articulated what you had initially argued. Another thought. Congress was controlled by the Jeffersonian Republicans by 1801, so, as Jefferson wrote, the Federalists retired to the Judiciary. If Congress had the power and right to overrule Marbury v. Madison by legislation, why didn’t it? And why didn’t he have Marshall put in chains? Did he not feel he had a duty? Was he waiting for the “body of the nation” to rise up? Something else I found curious was his mention of the Spanish effort at a constitution, which required that if there ever was a dispute as to constitutionality, whichever two of the three branches sided together won the day. Nowadays the pandering in that circumstance would make our already corrupted system even worse! Imagine the conditions Hillary Clinton would place on her concurrence with either of the other two branches. Of course it’d be great for the Clinton Foundation’s funding. I sensed that some of his writing may have been simply bouncing ideas off the addressee. But who knows? At any rate, I see some amount of contradiction in Jefferson’s opposition to judicial review and his proposals would be harmful in our current capitalist-controlled federal government. As for the remedy to our governmental crisis, fourth branches, and shadow governments, in a nutshell, election law reform is the best place to start, but it will take a constitutional amendment, a long constitutional amendment. What say ye? Steve – I do not put a lot of faith in Jefferson because he was convenient in what he believed. We have only to look at the Louisiana Purchase as a prime example. As a Federalist, there is nothing in the Constitution about acquiring territory. However, wanting the territory and wanting to keep his Federalist credentials, he claimed his powers to make treaties covered it. Paul, I have to disagree with you with regard to acquiring Louisiana. Treaties can be about anything, including land acquisition. There’s no limitation other than a Senate supermajority approval. Right? Where in Article II or anywhere else in the Constitution does it limit the substance of treaty-making? Secondly, France was at war with Britain who we’d been at war with just 20 years earlier and who we’d be at war with eight years later. “Napoleon needed money for the impending war against England. America did not have the money to pay the $15 million outright so they instead borrowed the money from Great Britain at 6% interest.” How’s that for working both sides of the fence? “Federalist credentials”? You mean Federalist favor, don’t you? Jefferson was no Federalist. Steve – he used 12 mill in cash and overlooked 3 million in monies owed. However, he had often held that the United States must end at the Missouri. However, when he made his evolution, he had medals struck to give to the Indian tribes and paper documents.